MediaMall Technologies, makers of the online TV streaming service PlayOn, has launched an app for the BlackBerry 10 platform that brings content from channels like Netflix, HBO GO and Hulu to handset owners in the US and Canada. 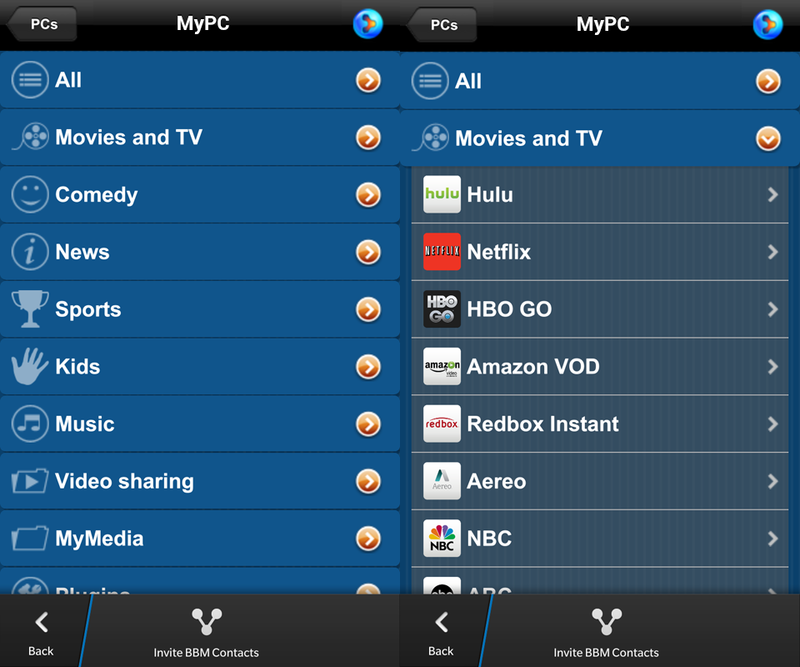 Unlike other streaming services, the app doesn’t stream the content directly from the broadcasters’ on-demand channels, instead, it requires the user to have a Windows PC with the PlayOn software installed, which is then used to relay the signal to another device – in this case a BlackBerry 10-based smartphone. As well as the big name channels already listed, PlayOn subscribers also get access to another 60 or so streams such as ABC, NBC, CBS, Comedy Central and a bunch more. Naturally, given that users will be watching via a BlackBerry 10 device, the app will happily stream content over 3G, 4G LTE and WiFi connections. Annual subscriptions to the service cost $24.99, although a lifetime licence is currently being offered at a one-off charge of $49.99. Naturally, you’ll also be needing active subscriptions to things like Netflix to access that content, adding to the overall bill, although you won’t need a Hulu Plus subscription to stream Hulu content. While it’s likely good news for BlackBerry 10 owners left with few choices of official big name apps for streaming TV, it’s also somewhat hindered by the necessity of owning a Windows PC from which to stream content and having separate subscriptions to the services. That said, BlackBerry World isn’t exactly overflowing with compelling apps so BlackBerry 10 owners in the US and Canada will likely welcome this with open arms – if you’re hungry and you only have a cracker, that cracker tastes pretty good – particularly if it can be used to reduce or replace an expensive cable package. As well as being available on BlackBerry 10, PlayOn is also accessible via a host of other platforms including iOS, Android, Xbox 360, Playstation 3 and many more in the US and Canada.